On May 5th, 1937, John Lee "Sonny Boy" Williamson and Robert Nighthawk made their recording debuts. Accompanied in the studio by Big Joe Williams, the recordings these three men made that day helped shape the future of Chicago Blues as we know it. 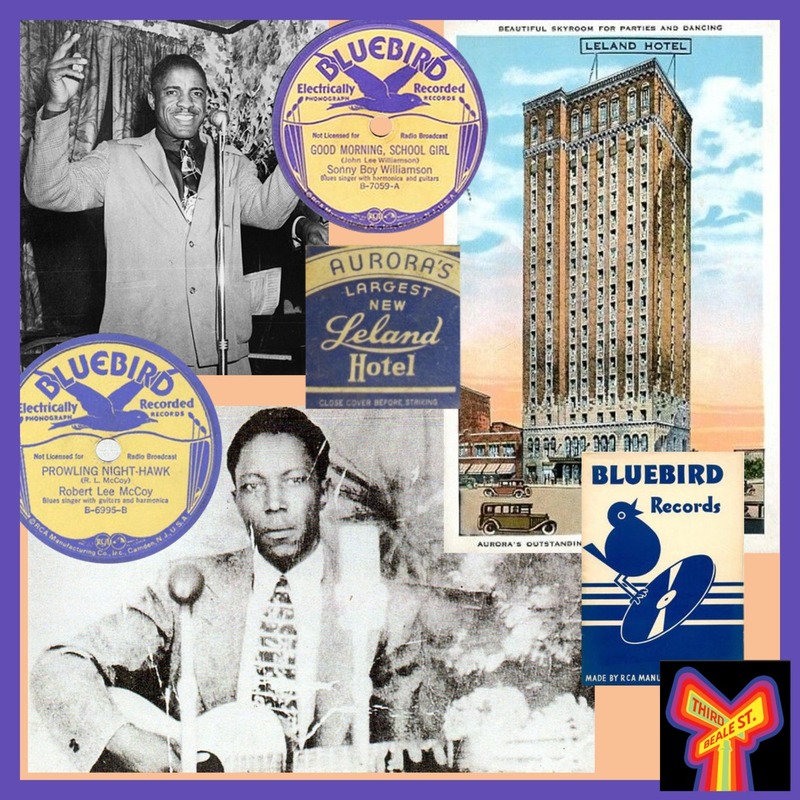 Pictured: John Lee “Sonny Boy” Williamson (top); Robert Nighthawk (in those days, known as Robert Lee McCoy, bottom); memorabilia from the Leland Hotel in Aurora, Illinois, where Bluebird held their recording sessions.